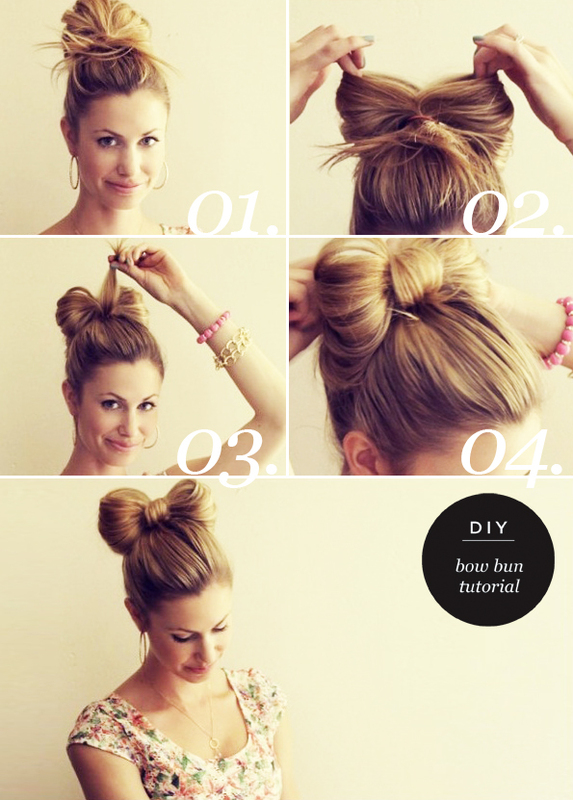 Here's a super awesome bow bun tutorial by Running on Happiness! Make sure you check out her blog here. She has the most amazing hair styles that I spent HOURS on her blog when I first discovered it! 01. Gather hair into a high pony tail. Loop hair through an elastic band leaving the ends out and on the top. 02. Divide bun in the middle. 03. Gather the loose ends into one section and pull it directly back behind the bun. 04. Pin into place with bobbi pins.